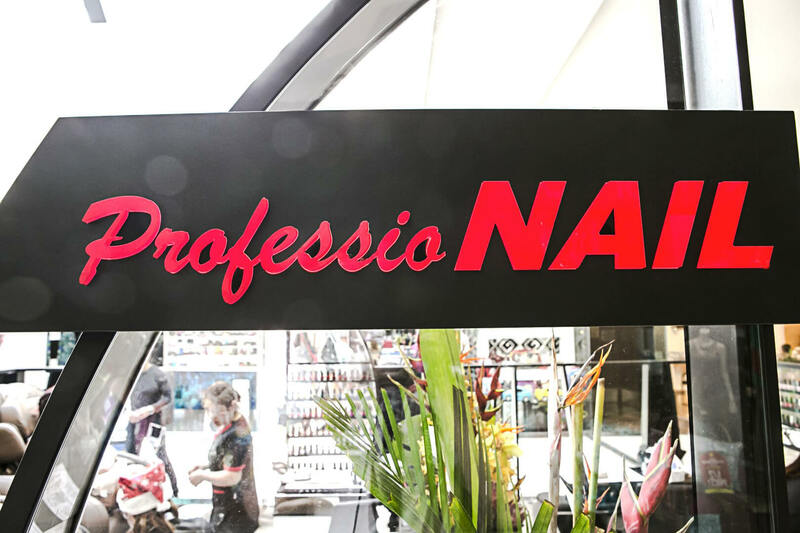 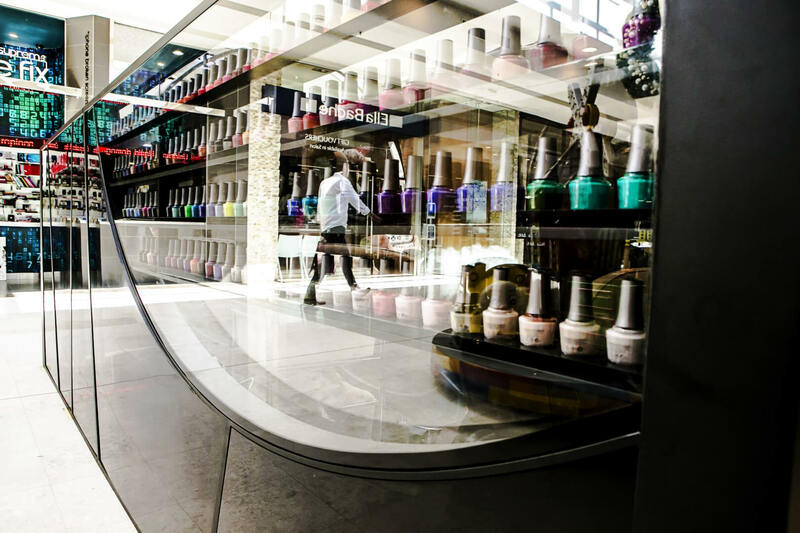 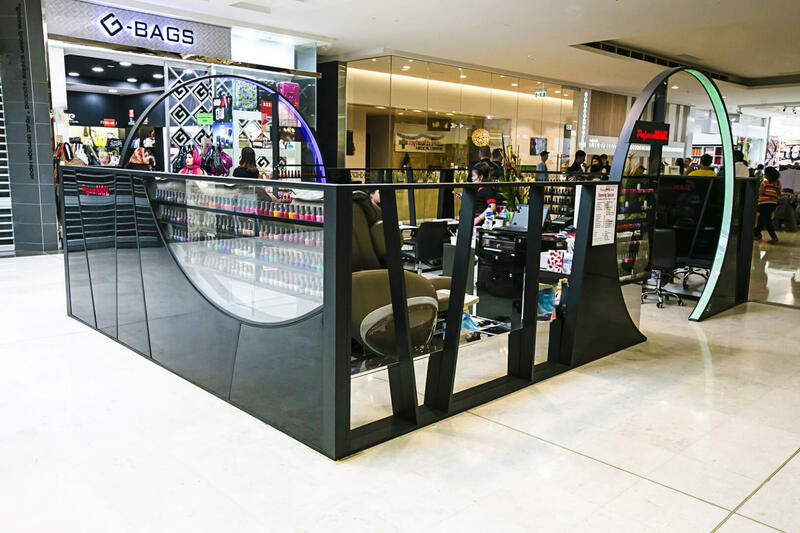 The nation’s number-one nail bar needs Australia’s finest kiosk design. 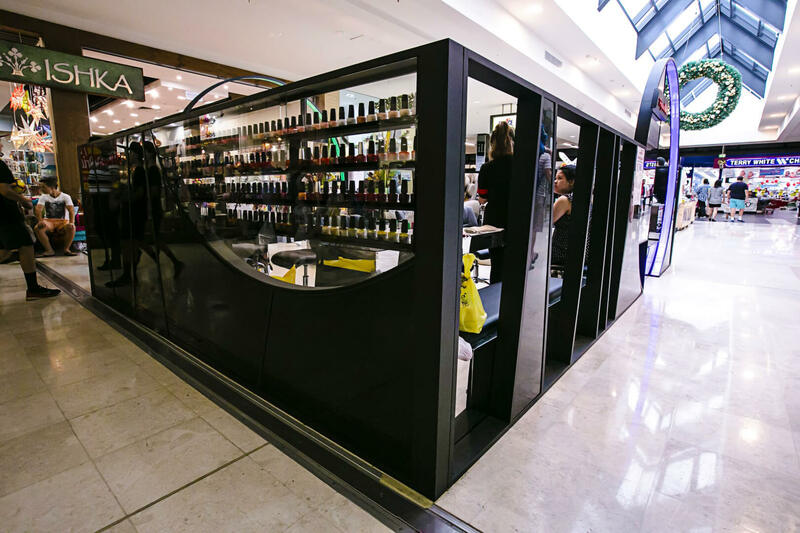 Pushing the boundaries of Westfield Australia’s design guidelines, we contrasted the black frame with bright bottled colours. 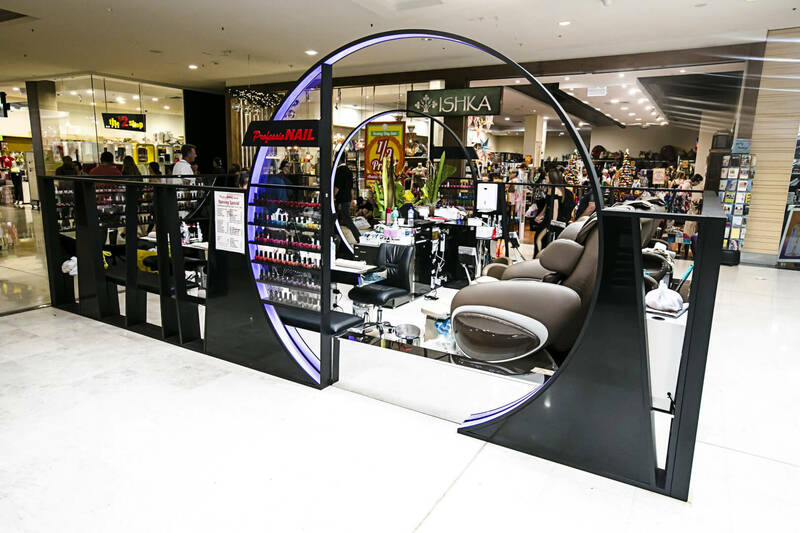 Enter through a big circle illuminated in full colour spectrum, then feel special amid the chrome-finish interior colours. 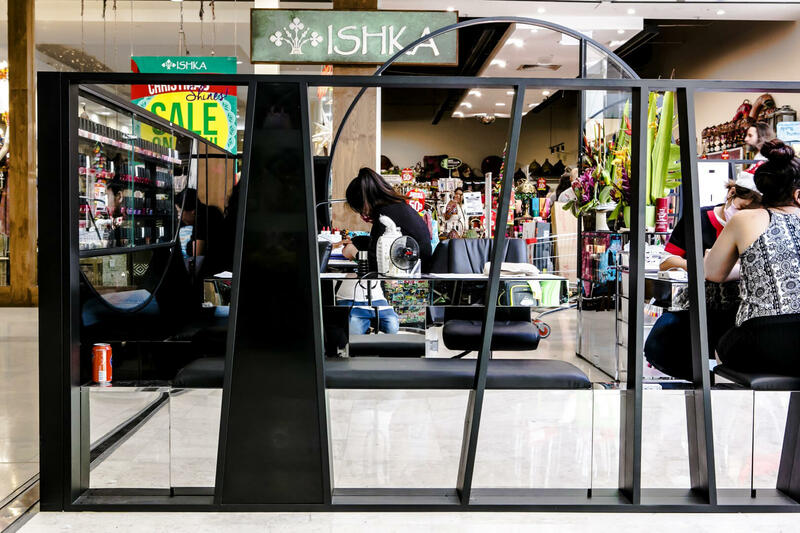 Perfect kiosk manufacture completed.